We are proud to offer Atlantic Premium exterior shutters, the finest custom-made composite wood shutters available on the market. 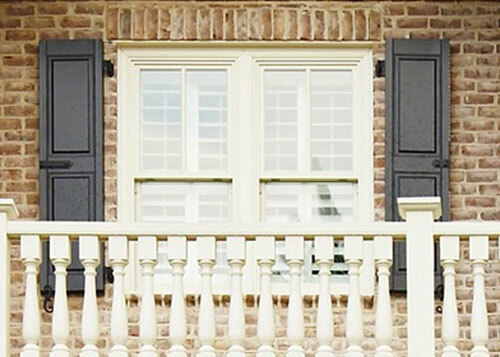 These name brand exterior shutters come in a wide range of styles, from the distinguished look of the Classic Collection to the picturesque details of the Architectural Collection. 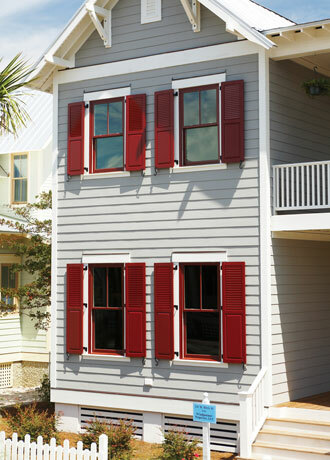 Atlantic Premium offers both fixed and operable shutters in 40 distinctive colors. They can also custom-match any color, and they offer a 100% color-match guarantee. 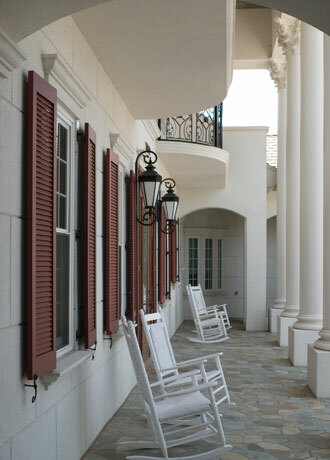 Atlantic Premium exterior shutters meet US Department of Interior standards for historic preservation, and all the styles we offer are covered by comprehensive warranties ranging from 3-year to lifetime coverage. 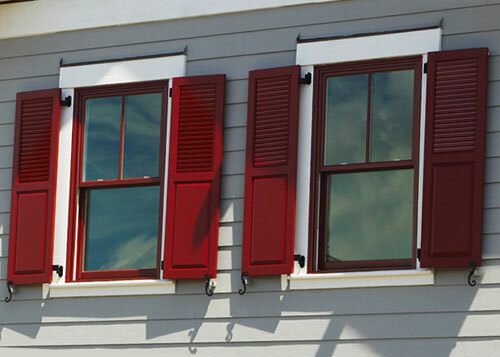 These high quality exterior shutters are long lasting and maintenance-free. During the painting process, a two-part acrylic/urethane finish is permanently bonded to the shutter material, protecting the paint color against fading for years to come. 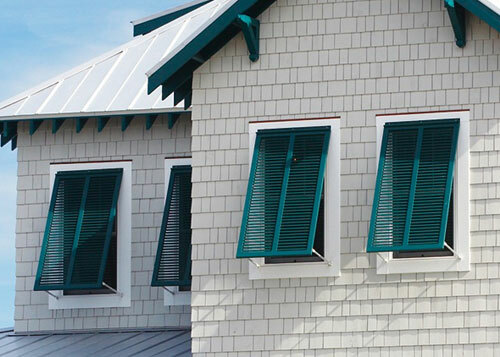 Atlantic Premium Architectural Collection exterior shutters are available in Raised Panel, Louvered Colonial, Combination, and Bahama shutter styles. Each shutter in the Architectural Collection is hand-assembled from innovative materials to provide both a beautiful shutter and unmatched durability. 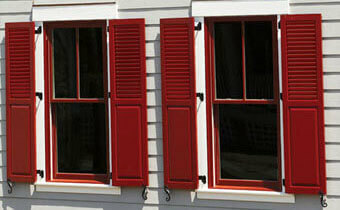 These shutters are custom made and have a limited lifetime warranty. 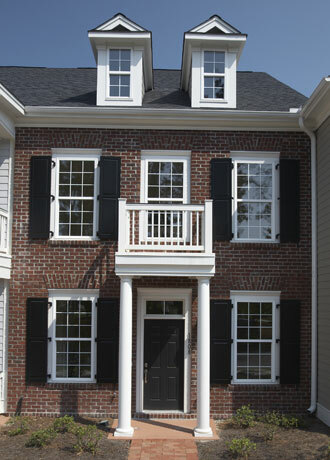 Atlantic Premium Classic Collection shutters come in Raised Panel, Faux Louver, and Board and Batten designs. The Classic Collection are hand-assembled and individually built. 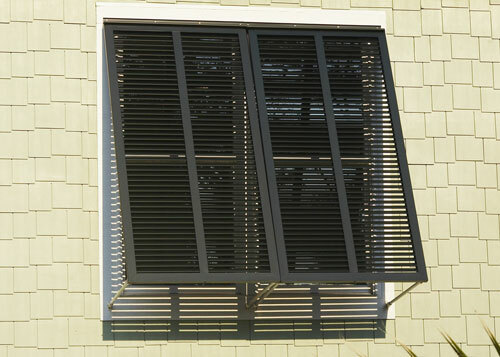 Durable, made with the finest composite wood, these shutters are made to last without compromising their beauty. 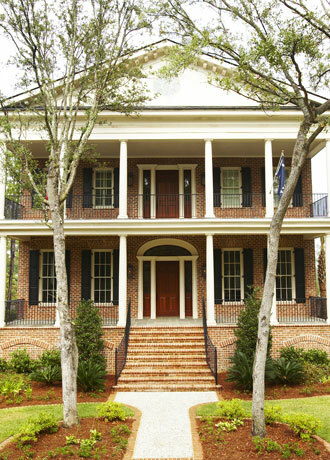 Shutters in the Classic Collection have a 10 year limited warranty. Atlantic Premium Pro-Series shutters are available in four different styles: Louver, Raised Panel, Flat Panel, and Board and Batten. Pro-Series Shutters are available in widths ranging from 12" to 24" and heights from 30" to 96" (in half inch increments). 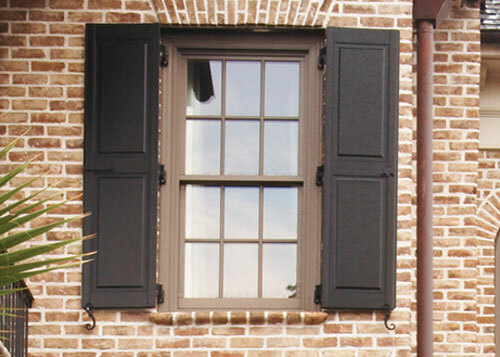 The Pro-Series shutters are primed and should receive a good quality exterior grade coat of paint. Prior to applying the final coat, each panel should be sanded with a fine 600-grit sandpaper. All the Pro-Series Shutters are backed by a 3 year limited structural warranty.